The Air Jordan 5 Red Suede isn’t exactly a “Raging Bull” Retro release, but they’ll be debuting this July 2017. But if you’re a fan of all-Red shoes, than this Air Jordan 5 will be a must-cop this summer. Dressed in a mix of University Red and Black color scheme. This Air Jordan 5 features an all-Red upper with matching mesh and midsole, along with 3M reflective on the tongue. Black shark teeth and lining, while sitting atop an icy outsole completes the design. Look for the Air Jordan 5 “Red Suede” to release on July 1st, 2017 at select Jordan Brand retail stores. The retail price tag is set at $190 USD. UPDATE: Stock photos of the “Red Suede” Air Jordan 5 via Shoe Palace. 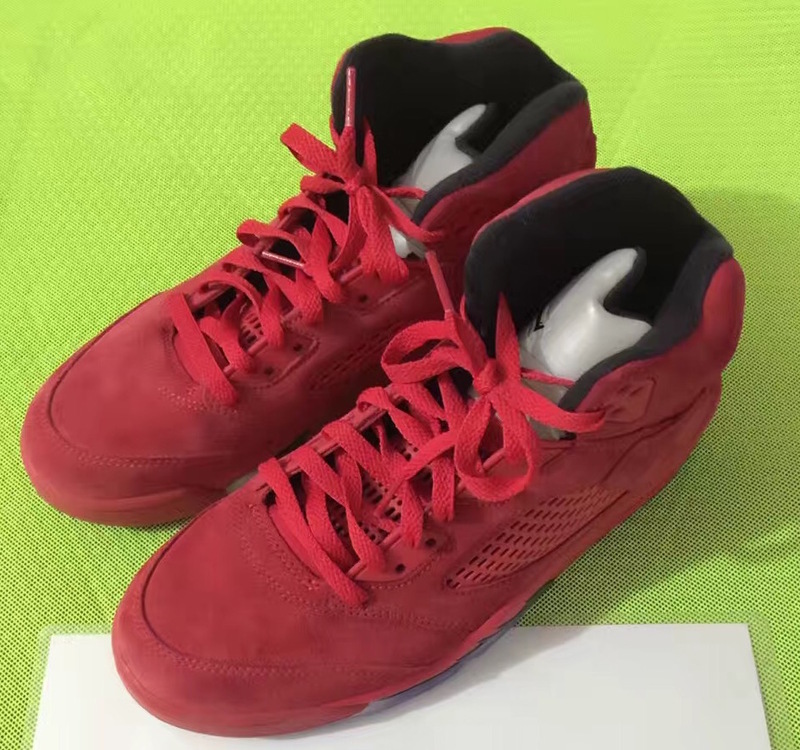 UPDATE: New photos of the “Red Suede” Air Jordan 5 via Japanican. 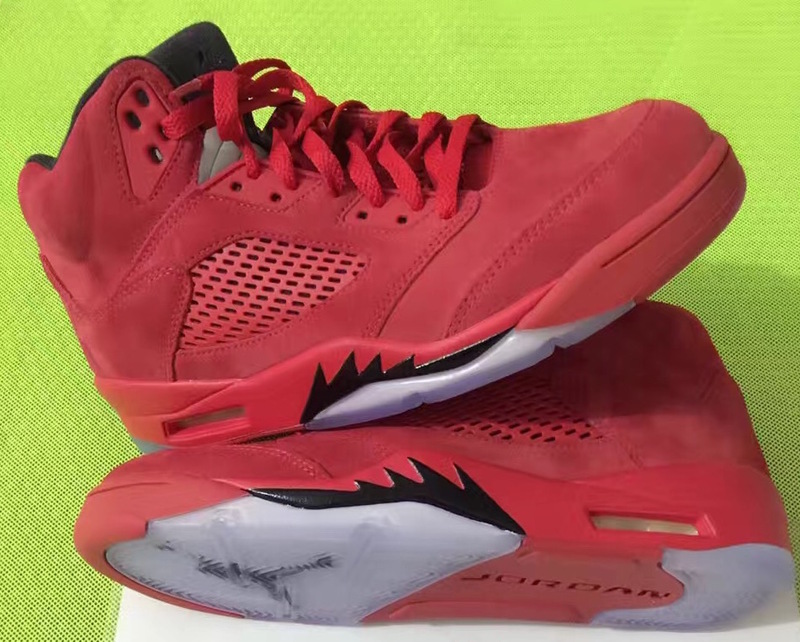 UPDATE: Detailed images of the Air Jordan 5 “Red Suede” via zSneakerHeadz. UPDATE: On-feet images of the “Red Suede” Air Jordan 5 via Swish Supply. 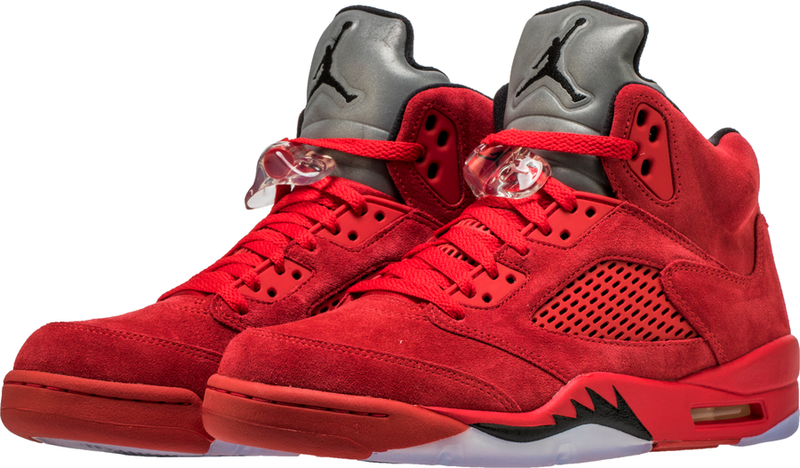 UPDATE: Here’s a better look at the “Red Suede” Air Jordan 5s via Kinstor.